In February 2009 doctors didn’t think James Golding would make it through the night. 8 years on, in June 2017, James, broke the world record for most miles cycled in 7 days: that’s the equivalent of London to Paris every day if you didn’t know. Here’s the truly inspiring story of James, a man we are proud to call a client. From the 19th to the 25th June 2017, James Golding had to battle extreme conditions as he cycled 1,766.2 miles over 7 days. Strong winds were forecast for the time frame, which also had the hottest day of the month in store, but difficult weather wasn’t going to phase James after everything he has overcome to get to this point. Since 2009 James has survived Cancer, Septicaemia, Peritonitis, has had his entire body rebuilt and had to learn to walk again. After beating his illnesses James embarked on a monumental cycle going coast to coast in America to raise funds and awareness for MacMillan Cancer Support, however, whilst en route disaster struck again when James was hit by a truck. 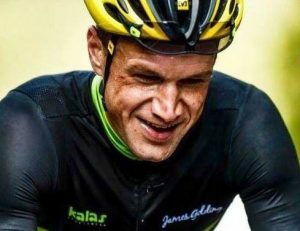 Incredibly, real life hero, James returned to America post recovery to complete that ride in 2011, putting aside everything that had happened to that point but it was not yet over. Shortly after the ride was complete James was diagnosed with cancer for a second time which led to more surgery, chemo and radiotherapy. We are pleased to report that James once again overcame everything life threw in his direction and survived to go on to further cycles over mountains, through valleys, across countries and even continents and contributed to over £2,000,000 of fundraising for MacMillan and he’s still going strong. James’ most recent feat has attracted a lot of well-deserved admiration and awareness for his cause. 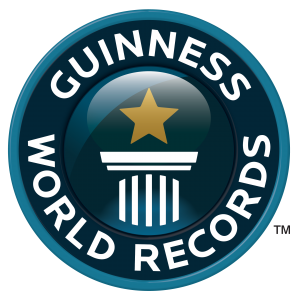 The Guinness recognised record for cycling most miles in 7 days, previously held by Yorkshireman Richard Nutt, was smashed by James this year in an astounding demonstration of true strength. We would like to take this opportunity to congratulate James on behalf of everyone at Cottons and our clients. Find out more about James’ story and keep up to date with his latest adventures on his One Step At A Time Facebook page. James has been a client of Cottons Chartered Accountants since 2011 and works with partner Dan Roberts in our Northampton office. We pride ourselves on building close relationships with the people behind the businesses to ensure that we can tailor our assistance to the road which they are on; we are with our clients for their journeys. With offices in Rugby, Daventry, Northampton and London our accountants become involved in their local communities to ensure they understand the needs of the area, businesses and people around them in order to provide a truly conscientious service. If you are feeling inspired by James or you’re on a journey of your own then talk to us about your business and find out what we can do for you.